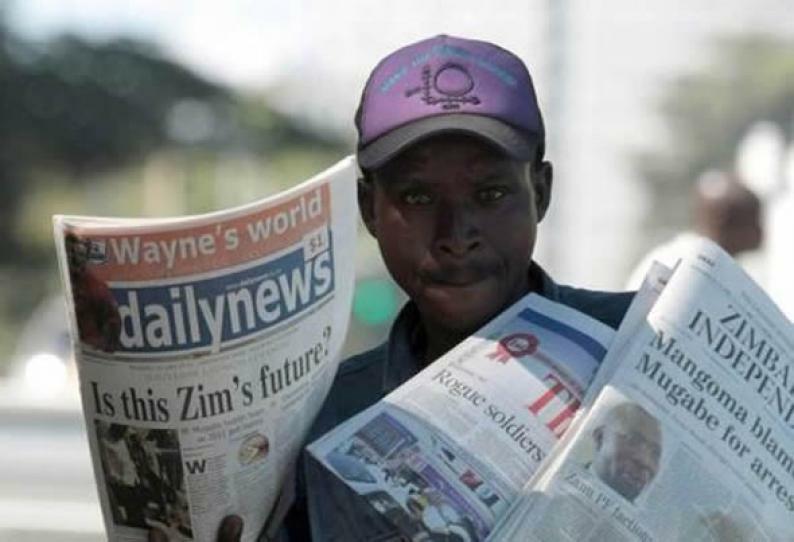 The Daily News - also the flagship title of Associated Newspapers of Zimbabwe (ANZ) - has launched a new text service which offers Zimbabweans authentic breaking news via their mobile phones. Commenting on the initiative, ANZ editor-in-chief Hama Saburi said the new offering was in response to growing reader needs in the country for timeous, truthful and noteworthy news in an era of bountiful fake news, especially on social media. "The health and further development of Zimbabwe's nascent democracy will depend to a large extent on a well-informed population. style and our motto goes - which helps to set the tone for informed and robust public discourse in the country. "Our new service will do just that by remaining faithful to the trusted and much-loved traditions of the Daily News. And the good news is that this exciting service will be available for a modest fee to everyone with a mobile phone," Saburi said. There are three subscription package options that are available to all Econet users - at the relatively low cost of five cents a day or 25 cents a week, or $1 a monthly for breaking news text alerts. 4. Select the daily, weekly or monthly subscription package of your choice. 5. Start receiving breaking news alerts on a daily basis. The "Breaking Daily News Service" is ANZ's second mobile text news product after the inimitable newspaper's "On the GO" product that was launched in June last year, in collaboration with technical partners Econet Wireless and Shankly Technologies. "Daily News On the GO" is a summary of the day's news that is delivered to subscribers at 5am every morning via mobile text messages. Does Zimbabwe have Cyber Security Experts to protect itself? Zifa online ticket sales backfires? Is Zinara's software supply deal a PPP? Is someone spying on you through your phone? How can Blockchain support intra-African trade? Do Chimanimani cracks prove seismic activity before cyclone? Will NetOne get its gGroove on? Should one buy shares or stuff their money in the pillow? Announcing the new Potraz Board members! Erikson demands $17m to fix Econet's servers? How can you build a holistic data ecosystem that is accessible for everyone? The Gtel X7 Pro: A masterpiece! Mnangagwa's team clash with Masiyiwa and Mthuli Ncube? Econet, Cassava hacking into subscribers' bank accounts? The Gtel X7 Plus: Back by demand! Zimbabwe govt to ban fridges, stoves, radios, TVs? NetOne, Dembare partnership on the rocks? Can the Zimbabwe currency situation be solved using innovative technology? Is Zimbabwe ready for online casinos? New Zimbabwe currency expected this week? Mnangagwa, suspended NetOne boss set for showdown? Zimsec shuts down the online results portal?